From the east to the west coast, the deep south and beyond, America has so much to offer. See the Manhattan skyline from the Empire State Building, catch a show in Chicago, go wild in Orlando and party in Las Vegas. Twin this with a trip over the border to Canada and witness the incredible rush of Niagara Falls. Match the city with a beach break in the Bahamas or an active holiday in Hawaii; it’s easy to take advantage of these tropical shores all within close proximity to America. Make the most of your holiday with our exciting top 10 American twin-centre adventures. What: Experience culture, class and live music with this twin city escape. 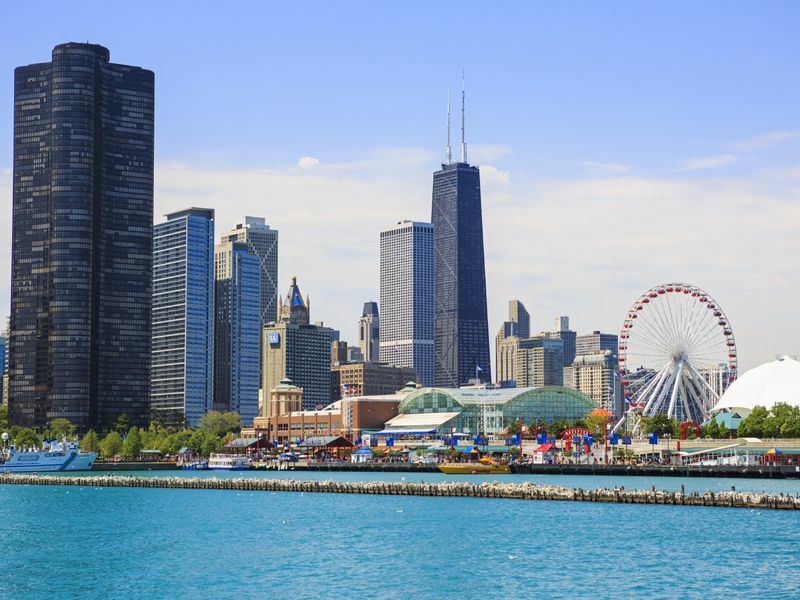 Things to do in Chicago: There is so much to do in the ‘Windy City’ situated on Lake Michigan, the Skydeck at the Willis Tower, offers uninterrupted views of the city skyline and Navy Pier has shops, restaurants and a 150ft high Ferris wheel. Chicago is a music lovers dream hosting a huge array of festivals every year ranging from blues to rock. Take in the art scene at Millennium Park and stop off at the Chicago Cultural Center. Deep-dish pizza, hot dogs and the Italian beef sandwich are just a few of the local must eats. Where to stay in Chicago: Fairmont Chicago Millennium Park is in an enviable riverfront location with all the major downtown attractions right on the doorstep. A spa and fitness studio allow for relaxing after a day of sightseeing and shopping along the Magnificent Mile. Things to do in New Orleans: New Orleans is known as the home of Jazz music, Mardi Gras and for its culinary delights. Stroll along the Mississippi River and watch steamboats sail by. Head to the city’s famous landmarks such as the French Quarter, Jackson Square, St Louis Cathedral and French Market. No trip to New Orleans would be complete without trying beignets or sampling a Po’ boy. For nightlife head to Bourbon Street, a great place for a drink and live music. Where to stay in New Orleans: The Monteleone is the ideal place to stay, within walking distance of the riverfront and the cities main attractions. The hotel has luxurious rooms, a rooftop swimming pool, gym, restaurant and Carousel bar; the only revolving bar in the city. What: From volcanoes and waterfalls to shopping and sea lions this twin city break has an exciting mix of activities. Things to do in Hawaii: See a volcano and visit a walk-in lava tube at Hawaii Volcanoes National Park, go whale watching, snorkel with manta rays and swim in waterfalls. For some traditional Polynesian culture attend a luau. 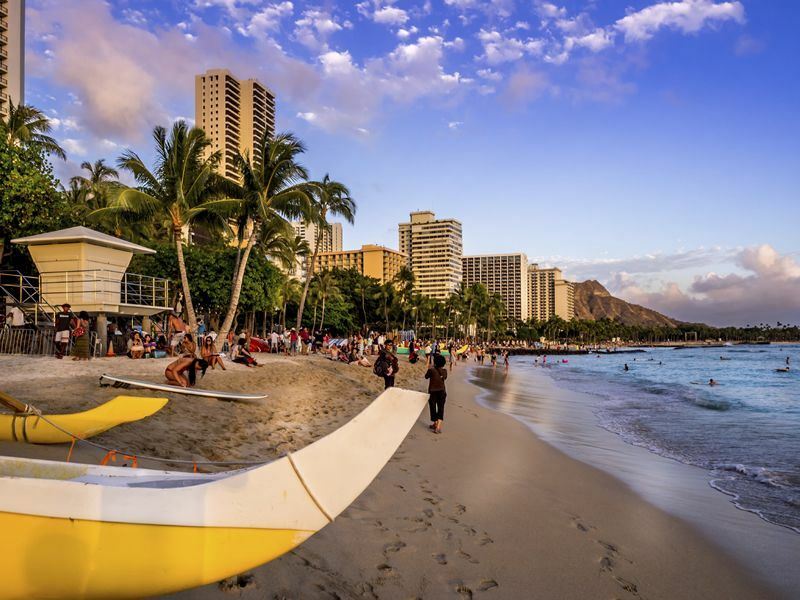 After a day of exploring kick back on Waikiki Beach and cool off in the crystal clear tropical waters. Where to stay in Hawaii: The Royal Hawaiian is full of elegance and charm, the tasteful rooms overlook the sparkling Pacific or lush tropical gardens and the pool is a quiet oasis. Sip on cocktails as the sunsets at the oceanfront Mai Tai Bar and enjoy traditional Hawaiian entertainment at a dinner show. Things to do in San Francisco: San Francisco is a shopaholics dream; visit Union Square and Filmore Street for some trendy boutiques. For sightseeing a cable car is a quirky way to explore the city. Take the Powell Mason line to Pier 39 at Fisherman’s Wharf, marvel at the views of the Golden Gate Bridge and Alcatraz and stop to look at Lombard Street, the world’s crookedest street along the way. For food head to Boudin Bakery, well known for their sourdough and clam chowder in a bread bowl. Where to stay in San Francisco: In a prime downtown location near Union Square, the Beefeater doormen set the scene for your stay at the Sir Francis Drake. A lavish interior, which exudes sophistication, will make your time here unforgettable. Visit Scala’s for rustic Italian dining and take in the cityscape up on the top floor at the glamorous Starlight Room. What: From city to beach, choose action packed or relaxed on this exciting twin city break. Things to do in New York: Head up to the Top of the Rock observation deck at the Rockefeller Center for fantastic panoramic views of Manhattan, Central Park and the Empire State building. Shop until you drop on Fifth Avenue at stores such as Tiffany & Co, and Saks. Visit the trendy Refinery rooftop bar for cocktails and views of the Empire State building. Where to stay in New York: The W Times Square is a funky hotel set right in the heart of the action. The rooms feature stunning views of the city skyline, fantastic for watching those bright city lights. The Living Room bar is the place to get the party started and Blue Fin sushi bar will have your taste buds flowing. Things to do in Cancun: Cancun has the perfect mix of beach and nightlife, sun drenched shores with azure blue waters, Mayan temples and tiny island retreats. Swim with whale sharks or snorkel with the marine life. Having topped up the tan get the Margaritas flowing at Coco Bongo or Senor Frogs for an evening of unmissable entertainment. 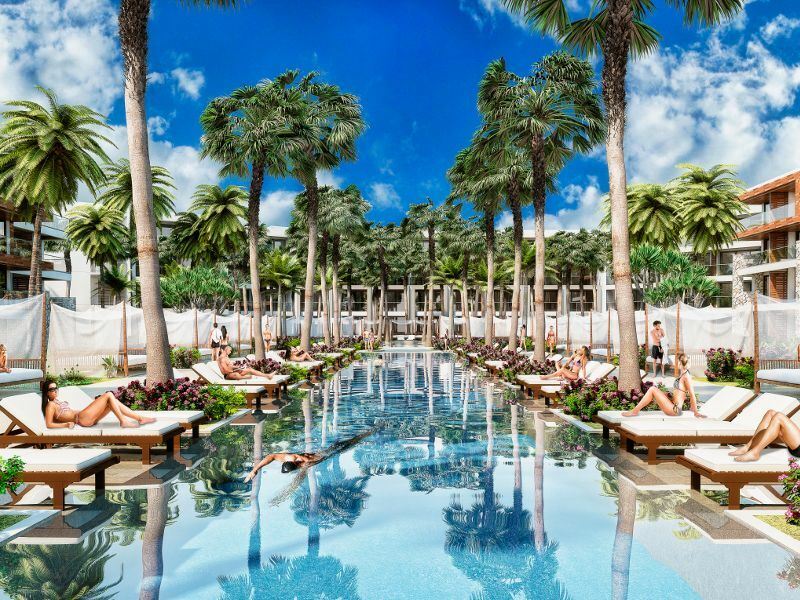 Where to stay in Cancun: The stylish Breathless Riviera Cancun Resort & Spa is located on a stunning stretch of sand on the Riviera Maya. This adults only resort is jam packed with everything you need for a beach holiday to remember. Breathless has it all, themed parties, oceanfront bars and junior suites with swim out pool access. What: Plenty of sightseeing and interesting eats make this an unforgettable break. Things to do in Las Vegas: Las Vegas is a great base for sightseeing, book a helicopter tour of the Grand Canyon and Hoover Dam or boat trip on Lake Mead. 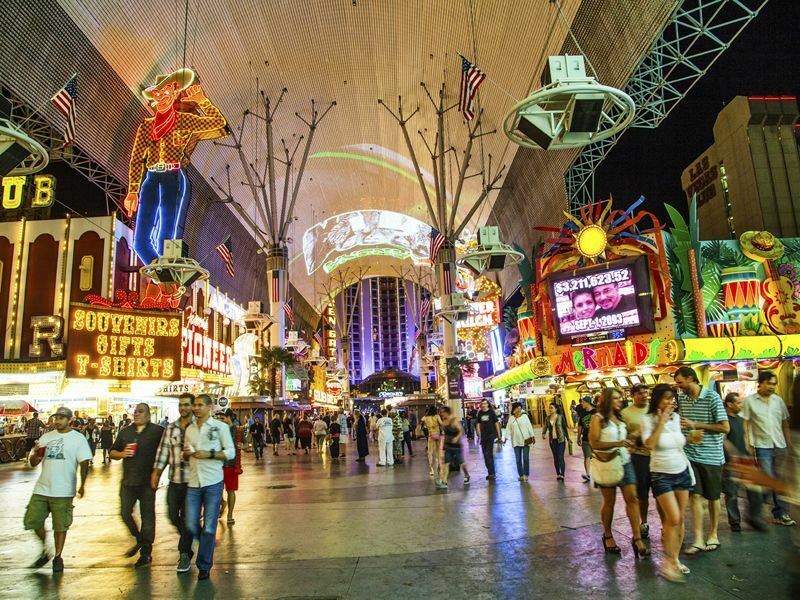 For something a bit different zip line along Freemont Street and visit the Neon Lights Museum. Try The Wynn for a champagne brunch. Where to stay in Las Vegas: The eye catching Wynn is a great base for all the action on The Strip. It has a huge range of bars and restaurants to choose from, swimming pools, a spa, casino, theatre, nightclubs and an 18-hole golf course. Encore Beach Club is home to artists such as David Guetta and the shopping mall has plenty of designer brands. 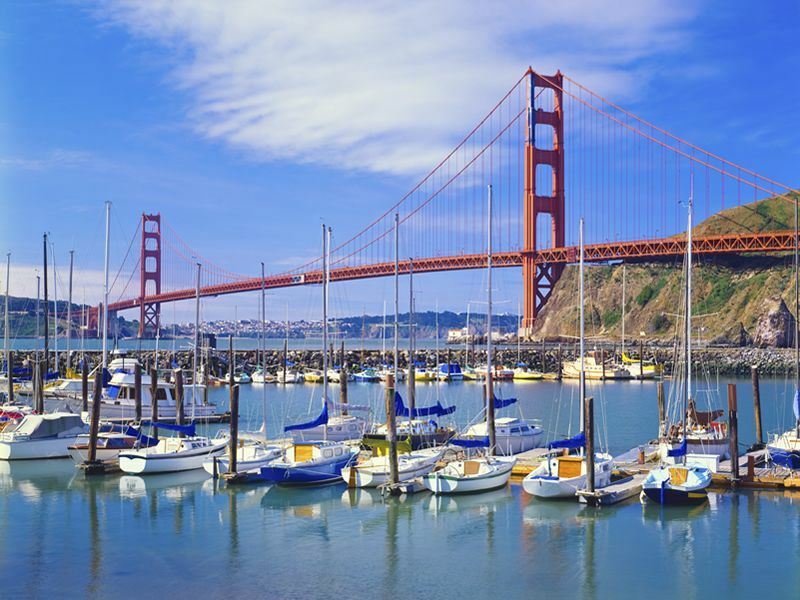 Things to do in San Francisco: Take a ferry or cycle over the Golden Gate Bridge for breakfast in the charming seaside town of Sausalito and look back over the water at the city. Back in San Francisco don’t miss the sea lions at Fisherman’s Wharf. Alcatraz Island is an exciting day trip, book tickets well in advance as it can get sold out quickly. Where to stay in San Francisco: The nautical theme of The Argonaut is perfectly in keeping with its location at the famous Fisherman’s Wharf. The luxury boutique hotel has beautiful airy rooms full of character. Blue Mermaid Chowder House serves up seafood, micro beer and crisp wines. What: An action-packed holiday awaits with a twin city Orlando and Bahamas break. Things to do in Orlando: Visit Diagon Alley and dine at the Leaky Cauldron at The Wizarding World of Harry Potter or board the Hogwarts Express from Platform 9 ¾. Be thrilled on the Tower of Terror at Disney’s Hollywood Studios, make a splash at Wet n Wild and see all your favourite characters a one of Disney’s spectacular parades. Where to stay in Orlando: Children and adults alike will love Disney’s Grand Floridian Resort & Spa. Just one stop on the resort monorail to Magic Kingdom the resort is in the heart of the action. Waterslides and swimming pools will keep the kids happy, while the spa and fitness centre offers welcome relaxation for grown ups. Things to do in the Bahamas: The Bahamas isn’t just about the beach, although of course there are plenty of palm-lined shores to catch some rays on. If action and entertainment is your thing then look no further, from horse riding along the beach to snorkelling with turtles. Don’t forget to visit Major Cay, or Pig Island home to some friendly swimming pigs. 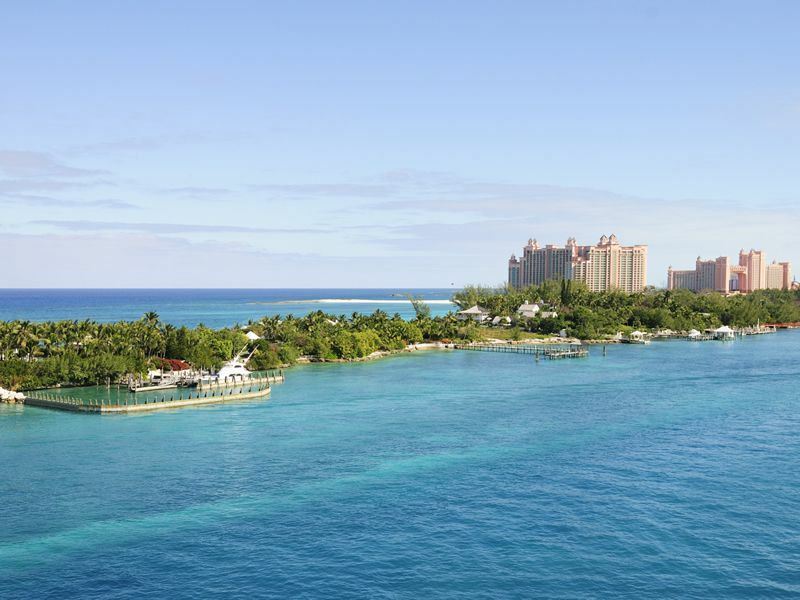 Where to stay in the Bahamas: Atlantis Paradise Island has stunning beaches and eleven pools to choose from, for young adventurers there is a waterpark. A cinema, spa, golf course and over thirty restaurants and bars mean there is something to keep the whole family entertained. What: Monuments, museums, history and champagne, New York and Washington DC are all about culture and class. 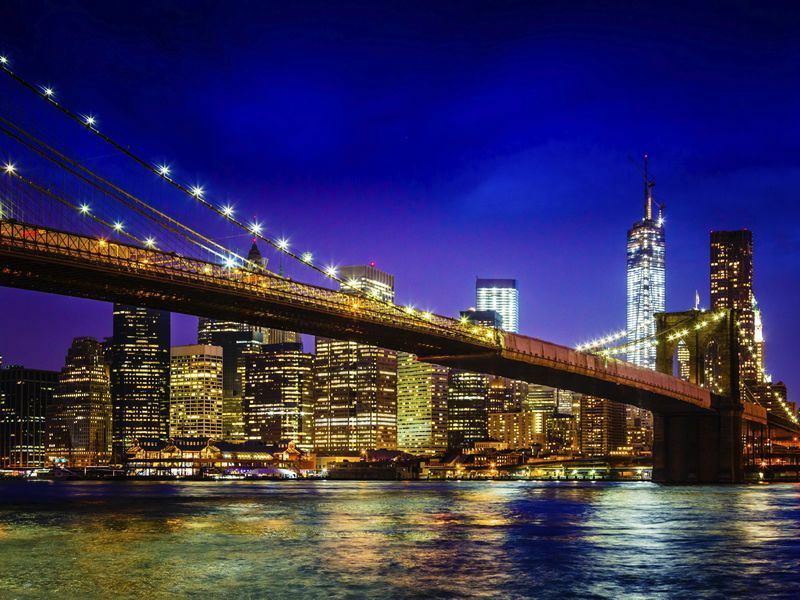 Things to do in New York: There is so much to see and do in New York, climb the Empire State Building, see the Statue of Liberty and visit the Metropolitan Museum of Art. Round up the day at Grand Central Terminal, this historical landmark is worth a visit to witness its impressive architecture. It is also a nice place to rest weary feet; the Oyster Bar is perfect for a glass of champagne. Where to stay in New York: The stylish Affinia Manhattan is a stones throw from the Theater District and within walking distance of New York’s major attractions. It is also ideally located by Penn Station for the subway. Spacious rooms with a touch of elegance and a chic restaurant and bar make this hotel a great city base. 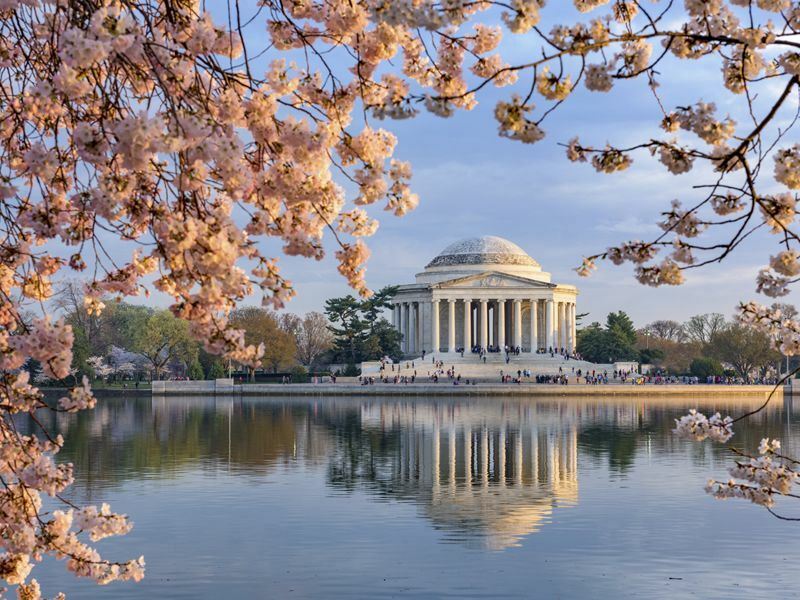 Things to do in Washington DC: From the White House to the Lincoln and Martin Luther King Jr. monuments heritage and history are aplenty in Washington. Stroll along the National Mall, the Washington Monument takes pride of place here at 554 feet tall. For something a bit different check out Smithsonian National Air and Space Museum. Where to stay in Washington DC: The Jefferson is a prestigious establishment, near to the White House and key historical monuments. Only ninety rooms give this sophisticated yet understated hotel an intimate feel. The decadent fine dining restaurant adds a touch of opulence, while the bar and lounge are perfect for a nightcap. What: Stage shows, dining and culture make New York and Toronto the perfect match. Things to do in New York: The bright lights of Broadway beckon with a whole host of shows from musicals and plays to dance productions. The revolving bar at the Marriot Marquis hotel in Times Square has gorgeous views of the city skyline and a great place for a pre theatre meal or drink. For some heritage visit Ellis Island Immigration Museum or the Statue of Liberty. Where to stay in New York: The Waldorf Astoria is one of New York’s most prestigious hotels. Its decadent interior and enviable Midtown location on Park Avenue make it a great base for sightseeing, shopping and dining. 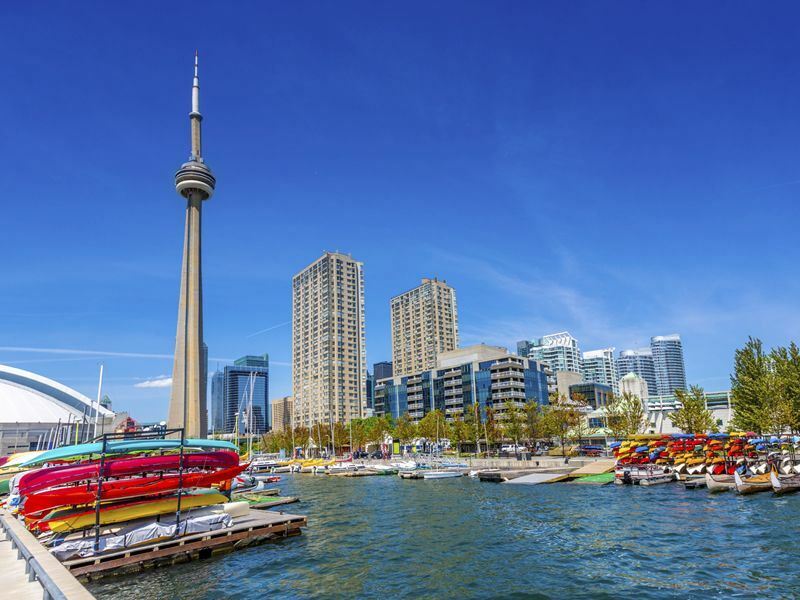 Things to do in Toronto: A trip to Toronto would not be complete without seeing the views from the famous CN Tower, stand on the glass floor 1,122 feet above the street level. The tower has a revolving restaurant making it a romantic setting for an evening meal. Watch a performance at the National Ballet of Canada; catch a show in the theatre district or for an adventure jump on a train to Niagara Falls. Where to stay in Toronto: Located in the heart of the action the cosmopolitan Ritz-Carlton has all the city’s attractions right on the doorstep. Sophisticated rooms, a fitness centre, salt pool and Jacuzzi make for a relaxing end to a day of sightseeing. Have afternoon tea overlooking Simcoe Park at the DEQ Terrace and Lounge. What: Las Vegas and Hawaii equal exhilaration and relaxation all in one amazing holiday. Things to do in Las Vegas: You might not think it but Las Vegas is a mecca for children. Teenagers will love the rides at the top of the Stratosphere and the Big Apple Coaster at New York New York. The Adventuredome has the largest indoor theme park in America, gondola rides at the Venetian and the iconic Bellagio water fountains will keep everyone entertained. Where to stay in Las Vegas: Circus Circus is not your average hotel, home of The Adventuredome it’s a fun filled place to stay for the whole family. Be thrilled on a rollercoaster, shop until you drop, dine in one of the many restaurants and watch dare devil trapeze artists at the Circus Circus Big Top. Things to do in Hawaii: Palm trees lining beautiful turquoise shores, turtle and whale watching, snorkelling, digging sandcastles and sunbathing on a tropical beach it is easy to find paradise here. The birthplace of surfing, catching some waves is a must. Where to stay in Hawaii: Hilton Hawaiian Village Beach Resort & Spa is a family friendly paradise. Positioned on the white sands of Waikiki beach the resort has five swimming pools, twenty restaurants and modern guest rooms all with private balconies. Spend time on the beach or rejuvenate at Mandara Spa. From snorkelling to hula dancing and Camp Penguin kids club there is plenty to keep everyone entertained. What: The entertainment never stops with a trip to the Big Apple and Sin City. Things to do in New York: If you find yourself in New York at Christmas time don’t miss The Radio City Christmas Spectacular at the Radio City Music Hall. 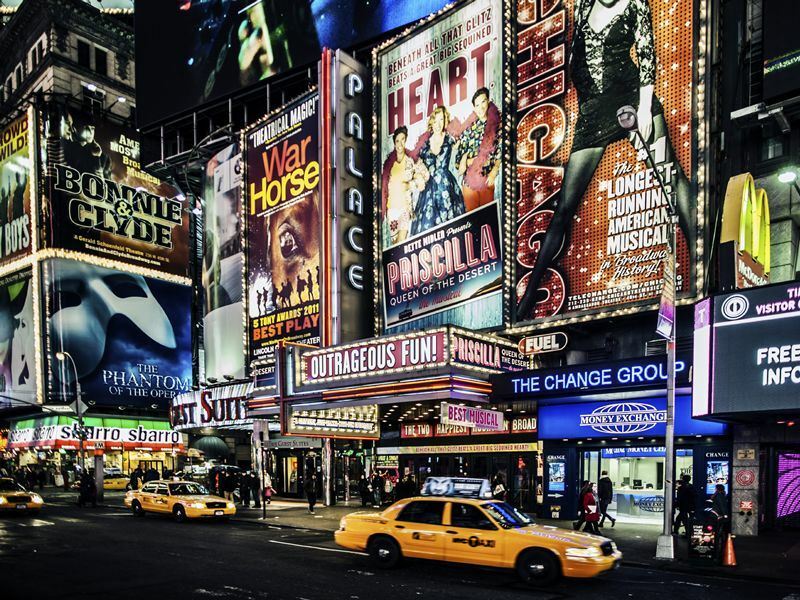 Marvel at the iconic landmark that is Times Square and watch a show on Broadway. For dinner check out Ellen’s Stardust Diner, a 1950’s themed American diner with singing waiters. Walk along the High Line, a disused elevated railway track which is now a public park and runs for 1.45 miles along the west side of the city. Where to stay in New York: Gansevoort Meatpacking is a trendy hotel in a hip part of town with a rooftop pool and contemporary rooms. New York’s main attractions are a quick hop on the subway. The rooftop bar with views of the Hudson River and Manhattan skyline is a great place to enjoy the sunset with a drink in hand. Things to do in Las Vegas: Las Vegas is the place to see a show from big stars such as Celine Dion and Rod Stewart to daredevil acts such as Cirque du Soleil there is always something exciting to see. With so many casinos it can be hard to choose, start with the largest at MGM Grand, then visit the slots at the luxurious Bellagio and not forgetting Caesars Palace in all its Roman glory. Where to stay in Las Vegas: Conveniently located the Aria Resort & Casino is a glamorous choice for hitting the slots. Treat yourself to a spot of shopping at Aria’s mall and relax in a fabulous room with floor to ceiling windows. Cool off at the pool with a cocktail and tantalise the taste buds with an array of dining options. After dinner head to Aria’s nightclub, funky bars and lounges or have some fun in the casino. What: This east coast city break will satisfy your every need from exploring to shopping and foodie delights. Things to do in New York: Take a stroll around Central Park; with 843 acres of green space there is a lot to discover. If visiting in the winter months ice-skating is a must, with two ice rinks to choose from. Watch the world go by at Sheep Meadow, see the Strawberry Fields John Lennon memorial and stop for a coffee overlooking the lake at Loeb Boathouse. You can also hire a rowing boat here. Where to stay in New York: There is not a better location for enjoying the Big Apple than at the Hudson Hotel, a few steps from Central Park and all of New York’s main attractions. Welcoming modern, bright rooms set the scene and Hudson Common, the hotel’s beer hall and burger joint is a quirky place to unwind after a long day of sightseeing. Things to do in Boston: Boston is an exciting city full of culture and entertainment. Walk the Freedom Trail; this 2.5-mile stretch goes past no less than sixteen sites of historical significance. This includes the USS Constitution, Benjamin Franklin statue and the site of the Boston Massacre. Visit SoWa for art galleries and shopping and the South End neighbourhood for food. 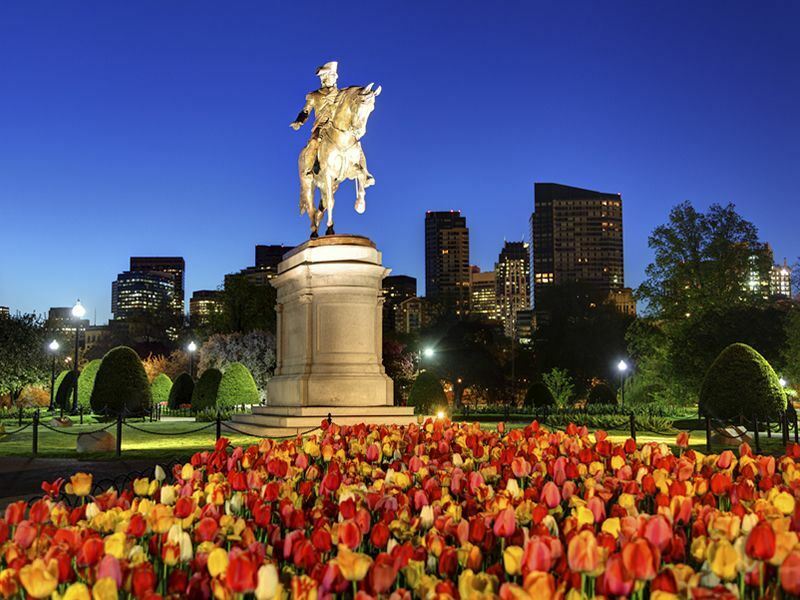 Where to stay in Boston: The grand Omni Parker has vintage New England styled rooms and is home to the iconic Parker’s restaurant; don’t leave without trying the Boston Cream Pie it is famed for. Ideally located on the Freedom Trail and nearby all the key city attractions.